Just a week after DC revealed their movie schedule until the next decade, Marvel then held a press conference in order to kill all of the hype their rival was garnering. It was a big thing actually as, well, they held a freaking press conference instead of just giving out a press release! Honestly, you rarely see even major motion pictures go through the trouble of doing stuff like this! And the people were incredibly excited to see what Marvel’s Phase Three lineup was going to consist of as you can see in the video below! They started the entire thing by showing the teaser trailer for Avengers: Age of Ultron, the second to the last film of Marvel’s grand Phase 2 slate of films. They also mentioned Ant-Man, which is still filming and scheduled to be released sometime next year. But what about after Ant-Man? What does the future hold for the Marvel Cinematic Universe? And will their films be as good enough to compete against DC’s upcoming movies? Well, I already gave my thoughts on DC’s movie plans. Now, let’s go look at Marvel’s! Phase Three will officially start on May 6th with the release of the third Captain America film. 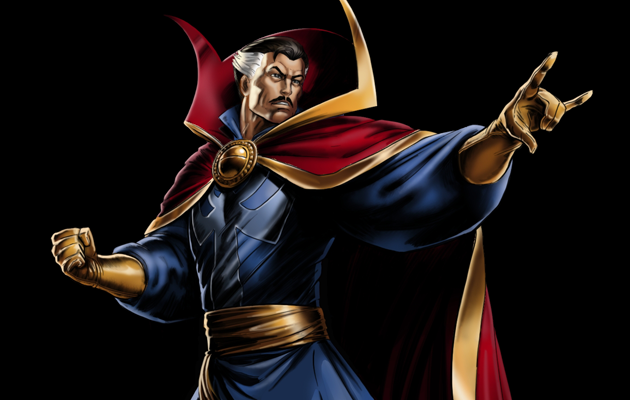 This is to be followed by a new character, the Sorcerer Supreme himself, Doctor Strange. Like the Guardians of the Galaxy, producing a live-action Doctor Strange movie may seem like a gamble. He may be a very important character for Marvel Comics, not many people who read comics even know this character exists! Then again, the same thing could’ve been said when they first announced that the first Marvel movie was going to be about Iron Man! Wonder what his real life costume will look like? The year following that, they’re going to release three films: Guardians of the Galaxy 2, Thor: Ragnarok and another new hero, Black Panther. They’re also going to release a couple of new films featuring new heroes as well: Captain Marvel (the Carol Danvers version) and The Inhumans. But the big announcement was the reveal for Avengers: Infinity Wars… Part I and Part II! Yes, they’re going the “let’s break up the movie into two parts” route that Harry Potter, Twilight and The Hunger Games have taken… but at least they’re releasing them just one year apart and they are going to fill in the time gap with Captain Marvel! So let’s look at the things I liked about the lineup first. Marvel’s taking a lot of risks regarding which characters will be getting their own standalone films but I love their choices! I already mentioned Doctor Strange before. Picking Black Panther, who is T’Chala, leader of the isolated and technologically advanced African nation of Wakanda is a great idea! They also selected Carol Danvers, the female Captain Marvel, as well! But they already proven that their lesser known characters can rake in big bucks with Guardians of the Galaxy. 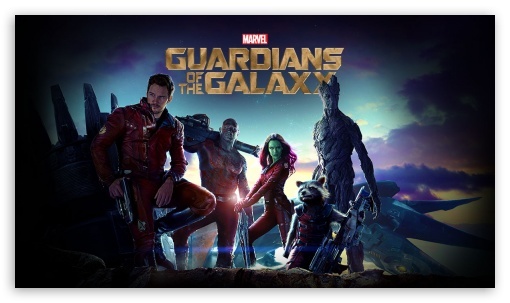 Speaking of which, I love that Guardians of the Galaxy will be getting a sequel! I felt it’s still the most entertaining movie of the year! The lack of sequels actually surprised me! Only 2 Avengers will be getting follow up films in Phase Three, those guys being Captain America and Thor. It may seem weird at the start but, if you look at the Phase One and Phase Two lineup, the reason is obvious as to why they aren’t getting any more films: their movies in Phase Three will make their previous series of flicks trilogies! I guess Marvel is smart enough to go beyond three films per character. Smart, as you’d probably get tired of the “old” characters when they can try focusing on other new properties. I am disappointed that there isn’t a second Hulk movie, though. Mark Ruffalo killed it in the first Avengers film and he seems to have the entire mild mannered Bruce Banner role down. Sure, the Edward Norton film was an abomination (pun intended) but I think a feature length Hulk sequel with Mark Ruffalo as the star would wash away the bad taste that film left in our mouth! I actually think the weakest link in the entire lineup is The Inhumans just because I never liked the characters that much. Much like the X-Men, The Inhumans were a family of superpowered characters who just so happened to be aliens… which is exactly why I don’t like them a whole lot. It was like X-Men in space! I’m not saying they can’t make a good Inhumans film; I’m just not incredibly excited for it, that’s all. Now, the biggest question: Is Phase Three better than DC’s movie lineup? As a whole, I think so. My main issue with DC’s lineup is they’re giving each of the Justice League their own solo feature and it looks like it’s diluting their series. Marvel may be doing this at a certain level, since their Phase Three lineup consists of a lot of new solo features as well. But Marvel was smart enough to make it feel like it’s the second wave of characters! Marvel’s probably going to put the kibosh on future solo Iron Man, Captain America and Thor films and just focus on Ant-Man, Doctor Strange, Black Panther, Captain Marvel and the Inhumans. But that’s after they’ve had a slew of films featuring the main Avengers! That’s the difference right there! I think, even with DC’s strong lineup of future films, Marvel still has all the momentum going for them. But, time will tell if I’m right. What’s your take on Marvel’s Phase Three lineup? How does it stack up against DC’s movie plans? Let me know in the comments section below!